Feni Gioielli is the ultimate destination in Taranto, in the region of Puglia, for everyone who loves high-end watches and beautiful jewelry like Giovanni Ferraris jewels. It is a place where attention to details is exquisite, the go-to place for premium quality beautiful pieces. 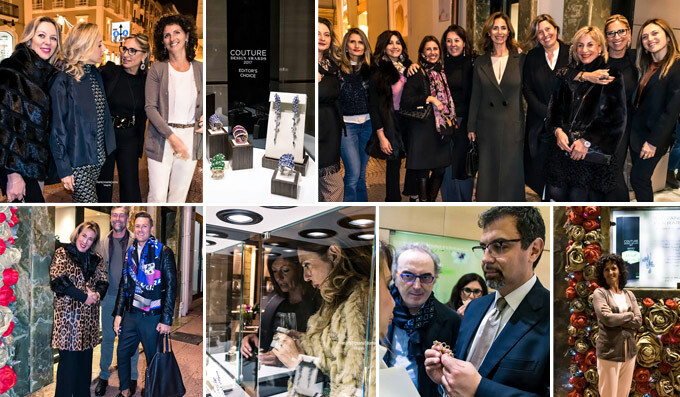 Last Friday, November 24th saw Feni Gioielli host a lively welcome cocktail that opened a three-day event fully dedicated to Giovanni Ferraris 2017/2018 collections. The whole boutique was for our creations only, displayed to guests and customers over the weekend. It was a special trunk show that caught the eye of many, a full immersion into a personal, excellent idea of jewelry. Due thanks to Ms Federica Nigro, creative and dynamic owner of Feni Gioielli. To find out our stockists, please fill in the form by clicking here.